Pasture-raised lamb is considered the highest-quality sheep meat product while hogget is a downgraded product considered to be of poorer quality. 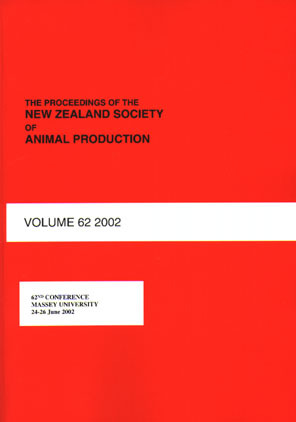 This experiment aimed to investigate the difference in meat quality between sheep slaughtered at 5, 8 and 14 months of age. Objective meat quality was measured on the loin of young Romney rams slaughtered at 5 (n=20), 8 (n=20) and 14 (n=20) months old. The loin meat from 14-month-old sheep was redder (P<0.001), yellower (P<0.001) with higher intramuscular fat (P=0.003) and had a shorter sarcomere length (P<0.001) compared to the meat from lambs slaughtered at 5 and 8 months of age. The peak shear force was highest at 8 months (P<0.001). Meat from sheep slaughtered at 8 months had greater drip loss than those at 5 and 14 months (P<0.01). The results suggest that slaughtering sheep at 14 months could have benefits on eating quality due to an increase in intramuscular fat.